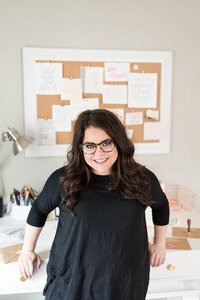 I decided to write this blog post after several photographers reached out asking about how to get published to help grow their business. 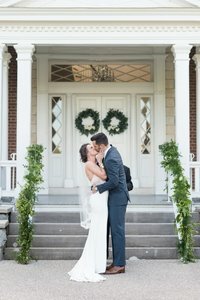 This is a little different than what I normally post, but I hope it is helpful for wedding vendors and other photographers! Last year I started focusing on submitting my weddings and photo sessions for publication. Publication can either be an online blog or a physical/digital magazine. I personally make it a goal to get featured for several reasons, including free advertising and improving your site’s SEO. Last year I had over 20 features and these are some of the main benefits I experienced. Right off the bat you gain some credibility. You can share the features with your clients and you can add the feature badges to your website or pricing guide. Why pass up free marketing? We already work so hard to grow our social media and work on our SEO to gain leads to our sites, so getting published is another free way to gain some traction. I do get click backs to my website from featured posts on blogs, so I find it is a beneficial way to grow your following and leads. When you get a shoot published and make sure all the vendors get credited, you are building your vendor relationships and supporting them as well! It helps everyone involved to have those SEO backlinks, so I make sure I go out of my way to get styled shoots with other local vendors published multiple times. Anyone else struggle to plan their Instagram feed sometimes? It can be hard to know what to post and to come up with a strong caption, so I am all for having an excuse to repurpose content or to share a picture from a session I haven’t talked about in a few months. When you get published, you have an automatic free pass to post an oldie! My clients tend to get excited when their wedding or photo session gets picked up by a blog! 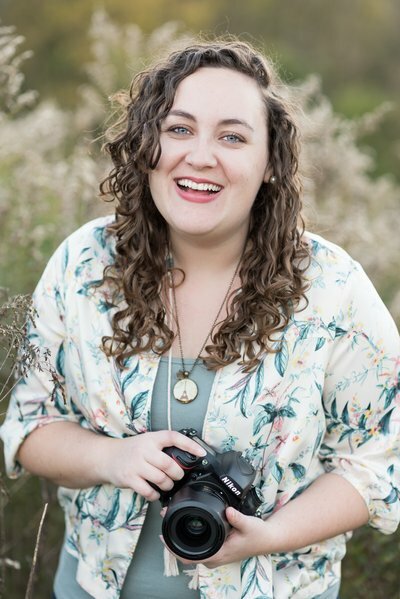 We feel good about ourselves when we are validated, and having someone share your wedding makes you excited and it allows you to relive your day again! When you submit to blogs, it is so easy to receive rejection after rejection, which is why I think a lot of photographers don’t spend the time submitting their work. It does take time, but I block off a few hours knowing I will work exclusively on curating images, writing up submission stories, sending off galleries to blogs, and researching publications I want to feature my work. With this approach, submitting to blogs has become part of my workflow and I think that is why it has been a successful tool for my business. You will save so much time and have a better acceptance rate if you submit your sessions to the right publications in the first place. Do your homework and make a list of blogs that fit your style. Research if they have a certain editing style preference and research the content they currently share the most on their blog and social media platforms. I also make a note of the publication’s reach and engagement on social media. I have a spreadsheet I use for submissions to break down all this information. I made a list of the publications I would like to feature my work, and from there I wrote down whether they are exclusive or non-exclusive, and how many Instagram followers they have. When I submit a session, I can cross off the publications that have featured my work, so I can try to submit to different blogs. This spreadsheet is also how I keep track of my submissions and the acceptances vs the rejections I receive. An exclusive publication generally means they need to be the first ones to feature your session. I maximize my submissions by always submitting to exclusive blogs first, and then submitting to non-exclusive blogs once the exclusivity period lapses. You can typically find out of a blog is exclusive by clicking on the “submit” tab on their site. A lot of popular blogs are exclusive publications, so it is important to make sure you are submitting your session to 1 publication at a time until it is accepted to be featured. Bloggers and publications plan their editorial calendar months in advance, so if you have a seasonal shoot, it is important to act early! Always be thinking a few months ahead- especially if you are planning a seasonal styled shoot. Make sure you are choosing your very best pictures for submission. Editors won’t want a full gallery, they just want to see your top picks (typically 30-100 images depending on the type of submission). This opinion will probably vary depending on who you talk to, but I LOVE local publications and blogs! They typically have a smaller following, but if they are local to your market, I would prioritize submitting to them instead of submitting to big name blogs! The popular publications are great for credibility and bragging rights, but the smaller local blogs will drive more traffic to your site! I always keep vendors in the loop and I let them know when they can expect to see the feature go live! Once we are published, I send out another email to vendors with the link to the feature and a badge for if they want to include it on their website! There are photo submission and publication platforms that can help you easily submit your galleries to publications. The two popular ones are Two Bright Lights and Matchology. I’ve used both, and they are a time saver, but I can’t fully advocate for either platform. I think it is worth investing in one of these platforms if you want to easily streamline your submission process, but I currently don’t use either program as I was having better luck reaching the publications I wanted on my own. With Two Bright Lights, I was noticing a lot of inactive blogs are listed on their site. I would submit a gallery and wait for a response just to find out that the publication wasn’t accepting submissions. I also noticed I was getting a way quicker response from popular publications when I would submit to them directly from their website instead of submitting through Two Bright Lights. This isn’t the case for all their users, but I decided Two Bright Lights wasn’t a good fit for me. Matchology is still a new system with a limited number of blogs, but their editors are great about responding to submissions and their submission system is so easy! If I had to pay for a platform, I would choose Matchology! I’ve started implementing blog submissions into my workflow, which has been beneficial for getting featured consistently. Submitting to publications has also helped me stay on top of my own blog, since I am already curating images, writing up submission stories, and gathering vendor information to be able to give proper credit. It adds a few extra minutes of work, but if you implement it into your workflow, it doesn’t feel like you are going out of your way. I hope this was helpful, and I’d love to answer other questions you might have about the submission and publication process. Cheers to hard work paying off!